Why The Coach Rogue Bag Is The PERFECT Tote Handbag! There! I said it! The Coach Rogue bag is the perfect tote! I’m not kidding! Let me tell you why! But first, let me tell you why a great tote bag, is an essential part of every woman’s wardrobe. Firstly, they are big enough for all your junk, from supermarkets to the office, airports to shopping centres. 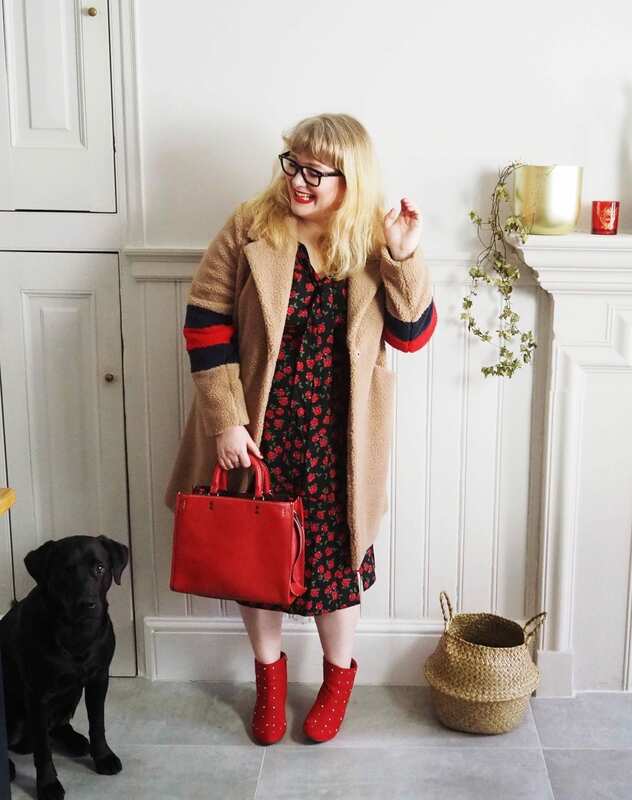 These bags are great for a gal on the go and with a nice big tote bag, you will never have to spend that extra 10p on a bag-for-life when you pop into Tesco’s for a few groceries on your way home. Plus providing you pick a colour which suits your wardrobe, a tote is the kinda bag you can wear day in, day out with every coat, jacket or dress going. 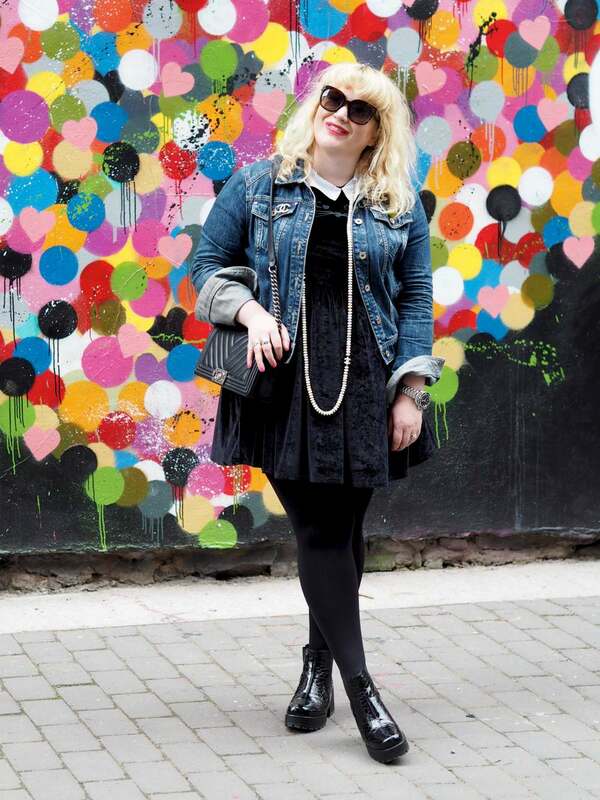 When was the last time you ever heard anyone say ‘oh this tote doesn’t go with my outfit.’? Never! Now that we’ve established that tote bags are great, I’m going to tell you why the Coach Rogue bag is the creme de la creme of tote handbags. Let’s go! This is a big one! Most tote bag are a little lacking when it comes to security. Most have little more than a magnetic popper and a small zip pocket on the inside to keep your valuables tucked away, but some literally gape open for everyone to see inside. The Coach Rogue however, is a little different. It has one big main section which does up with a zip, which is great for those of us in a big city who want are terrified of pick-pocketers, but it also has two open sections at each side of the bag which is perfect for slipping in headphones, snacks, Oyster cards or anything you want easy access to. Also, if you want to leave the main section unzipped, you can, but it’s nice having the option! Whilst I love a good tote, they do all end up looking a little same-y. I’m not throwing shade at the good old tote, but it’s nice to have a tote which has a little something extra in terms of it’s design. I love the rigid top handles, the additional hardware and keyrings and most of all, the geometric shape. It’s like a tote with a design upgrade. One of the things I love most about a tote is the ability to throw it over my shoulder and pretty much forget about it, whilst I get on with my day! I like being able to hold a coffee in one hand and pay for my candy bars with the other. I have two hands and I want to use them both, not always reserve one for my handbag! 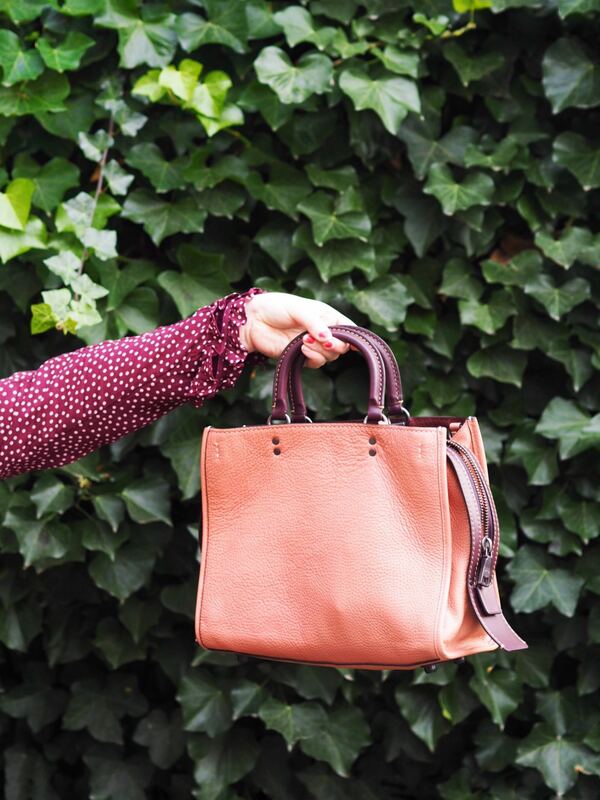 I can see why you might think this tote is going to hinder me with it’s top handles, but my friends, this bag has two ways to wear. The first way is super cute with with it’s top handles, the second way, is over your shoulder using the long drop-down skinny straps. It neatly sits under your arm and feels really comfortable. 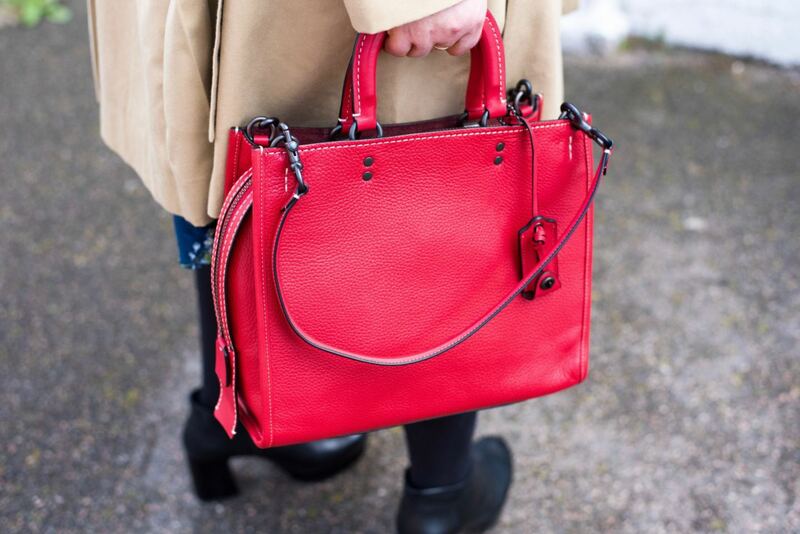 The straps are thin enough to look cute hanging down, but strong enough to carry even and over stuffed handbag. Alternatively, you can unclip them and leave them at home. Options! The pebble grain leather used on most of the Coach Rogue bags is super thick and super hardwearing. It’s the kind of leather that gets better with age and it’s not prone to marks, scratches or damage. It’s just beautiful, thick equestrian leather and its lovely! When it comes to budget, there’s a good amount of flexibility with the Coach Rogue bag. Right now, there’s a sale on and you can pick up a Rogue for anything from £297. But the classic Rogue retails for about £795 and the fanciest one retails for £1400. I think this midnight blue Rogue with the brass rivets is particularly beautiful and it’s on sale for £325. If you’re the kinda girl who has the budget to buy a handful of designer bags every season and not worry about how they will date, then I’m super happy for you! But personally, I need a little more longevity with my designer bags! 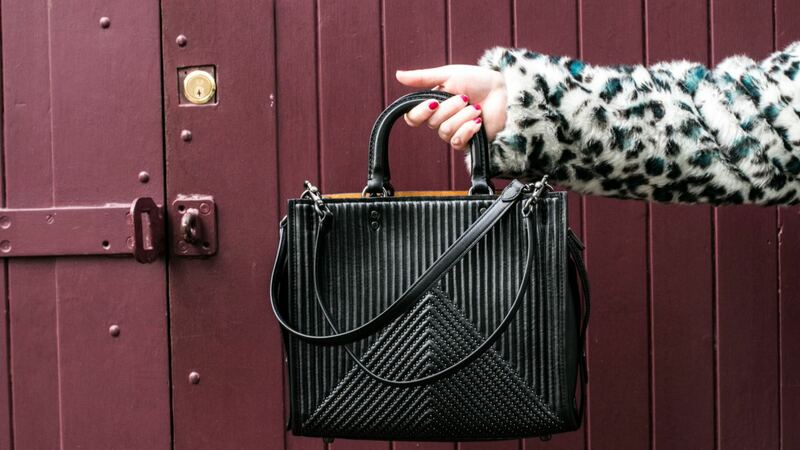 I try hard not to buy super seasonal bags which will loose their sparkle fast and instead I try to invest in beautiful bags which are fun enough to keep my interest and classic enough to withstand trends. I think the Rogue has a lot of longevity. It’s a cool bag to be seen with, but it’s also got quite a classic feel. 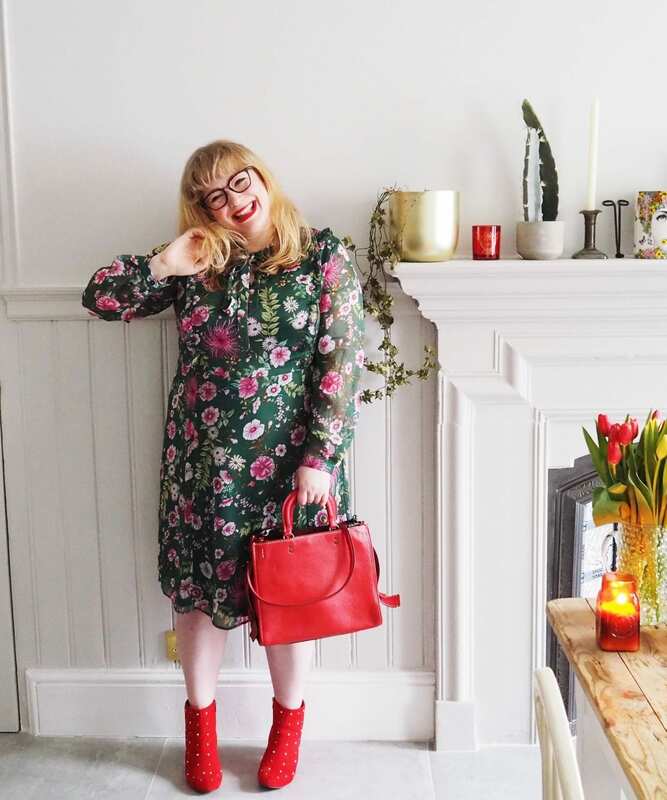 It’s a really easy bag to style up on a day-to-day basis so if you are like me, you will get a lot of wear out of it and because it’s not super obvious, it won’t get stale fast. Remember how quickly the Celine Trapeze bag looked dated? No-one wants a flash in the pan handbag and this my friends, isn’t one! 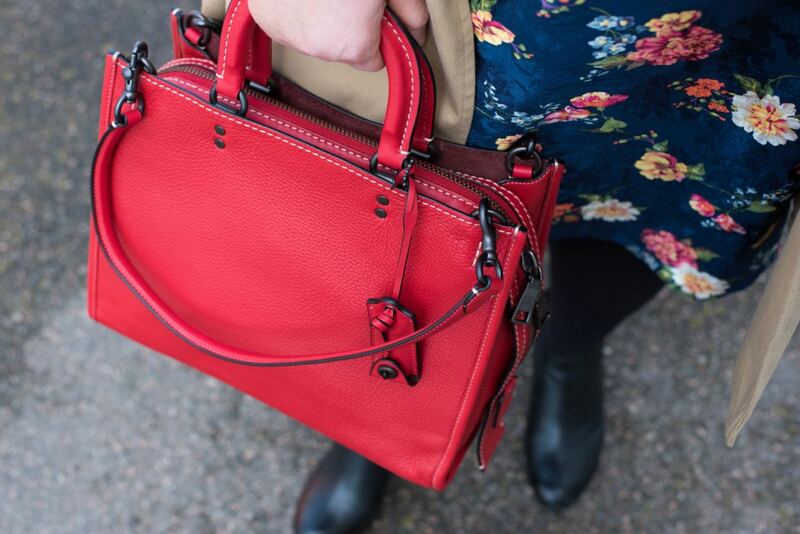 I have had my red Coach Rogue bag for 3 years now and I’m still not over it! 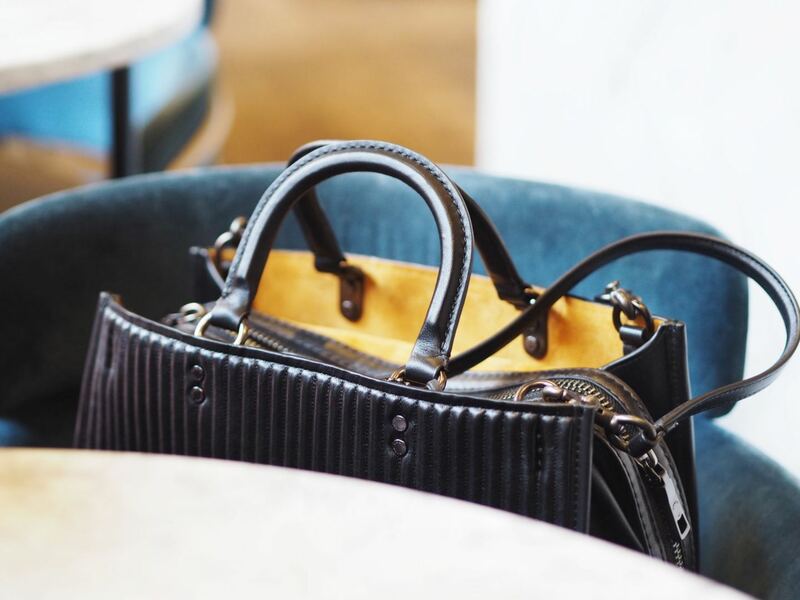 I hope this post is of help to you, if you have any questions before, please feel free to ask away and if you fancy doing a little shopping… then let me help!And if you want to read another post about this handbag… click the link to this Coach Rogue bag post!